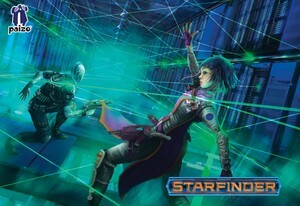 The "Splintered Worlds" SoundPack gives you the complete audio solution when playing the third chapter of Starfinder's "Dead Suns". All the preparation is done for you and every sound you'll need is right at your fingertips. Tracking the Cult of the Devourer, the heroes travel to the asteroid belt called the Diaspora, but they must face space pirates and other treacherous dangers of the asteroid field to find the cult's hidden command post. What the heroes learn in the Field of the Lost takes them to the dead world of Eox, where they must survive both the undead inhabitants of the planet and clandestine agents of the officially disavowed Corpse Fleet. "wet-slaps_3" by "herbertboland" "wet-slaps_5" by "herbertboland"
"Skreelings" sounds created by Christian Koerding of Syrinscape. "Skreesire" sounds created by Christian Koerding of Syrinscape. "Tentacles" sounds created by Christian Koerding of Syrinscape. "Cult_Cues" sounds created by Christian Koerding of Syrinscape. This SoundSet was imagined, compiled, designed, created, mixed and finished by Christian Koerding of www.syrinscape.com, using samples created by them. "Eoxian_phrases" sounds created by Christian Koerding of Syrinscape. “Splice" sounds created by Christian Koerding of Syrinscape. "CK_Hallway_steps” sounds created by Christian Koerding of Syrinscape.